Late entry The Velvet King was out of luck in the barrier draw for the 2018 Group 2 $500,000 Sky Racing W.A. Guineas (1600m) at Ascot in Perth on Saturday. Craig Williams, above, rides Orcein in the 2018 W.A. Guineas at Ascot in Perth. Photo by Ultimate Racing Photos. The Velvet King was added into the W.A. 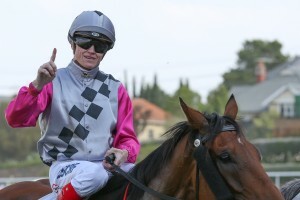 Guineas mix when connections paid the $11,000 late entry fee after the Darren McAuliffe trained three year old scored a comprehensive win in the Listed $100,000 Fairetha Stakes (1400m) at Ascot in Perth on November 10. The Velvet King raced on the pace in the Fairetha Stakes after jumping from barrier one, but the gelding won’t get it that easy in the W.A. Guineas after drawing barrier fifteen in the final sixteen horse field plus two emergencies. Only one of the emergencies, Regal Power, has drawn inside of The Velvet King, and if both reserves fail to gain a start, he will jump from gate fourteen with Mitchell Pateman back in the saddle. Lightly raced filly Arcadia Queen is set to back up in the W.A. Guineas after winning the Group 3 $200,000 W.A. Champion Fillies Stakes (1600m) at Ascot last Saturday at only her fourth race start. Arcadia Queen has drawn nicely at barrier three with Perth’s leading jockey William Pike replacing Chris Parnham. “We’ll enter her in the Guineas,” owner Bob Peters said after Arcadia Queen’s win in the W.A. Champion Fillies Stakes. Victoria’s leading trainer Darren Weir will saddle up Junipal with apprentice Ben Allen to ride from gate six while Chris Waller has accepted with Orcein who drew barrier ten for Craig Williams. Junipal is coming off a last start second in the Listed $150,000 TCL TV Stakes (1800m) at Flemington on November 8 while Orcein is tackling tougher opposition after a second in an 1800m BenchMark 70 Handicap at Randwick on Melbourne Cup Day. Betting for the W.A. Guineas at Ladbrokes.com.au has Arcadia Queen as the $3.50 favourite ahead of The Velvet King at $5.50 and Junipal at $8. 2018 W.A. Guineas betting at Ladbrokes.com.au: $3.50 Arcadia Queen, $5.50 The Velvet King, $8 Junipal, $11 Lady Cosmology, Orcein, $12 Lordhelpmerun, $15 Black Sabbath, Platoon, $16 Regal Power, Ulusaba, $18 Blackwood River, True Defender, True Attraction, $26 Flirtini, $81 Fingermark, The Fugazi, $101 Regal Counsel, Zetorio.